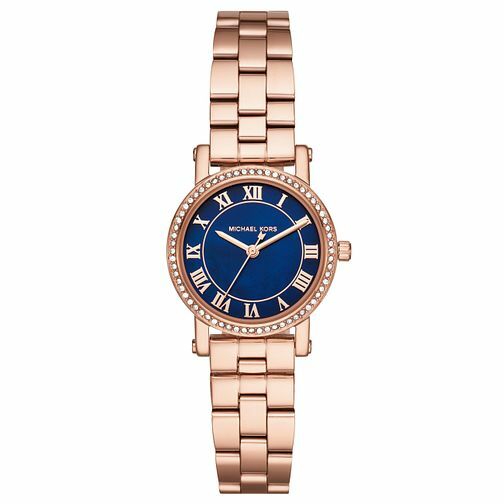 Michael Kors delivers chic, modern style with this jet set-inspired rose gold-tone IP petite Norie bracelet watch. Featuring a sleek matt finish , a chronograph blue dial is finished with Roman numerals and matching indexes. It is beautifully complemented by a sparkling stone set bezel. A stylish fashion watch, the perfect timekeeping accessory for any attire.